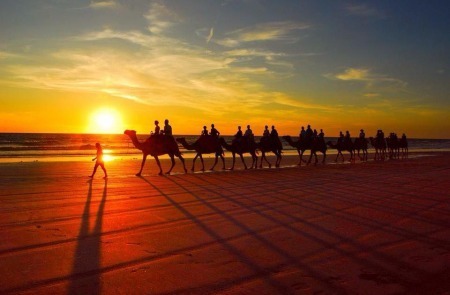 Our three day desert experience private tour, which includes a night under the stars is available for holidaymakers staying at any hotel at resorts of Gammart, Sidi bou said, Hammamet, Yasmine Hammamet, Port El Kantaoui, Sousse, Skanes Monastir and Mahdia. 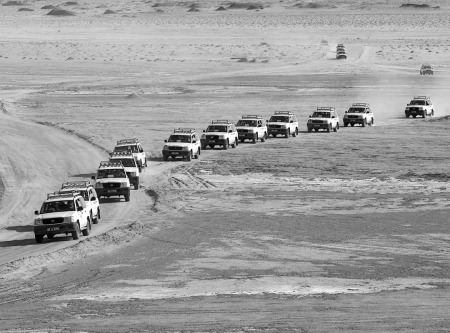 This desert safari departs any day of the week throughout the year. Departure to Kairouan, a purely Arab city filled with outstanding examples of the finest Islamic architecture in Tunisia: the Great Mosque of OKBA, the oldest place of worship in North Africa, and the mausoleum of Sidi Sahabi, a companion and a disciple of the Prophet Mohamed. We will see the impressive pools, built in the 9th century to collect and store winter rainwater. 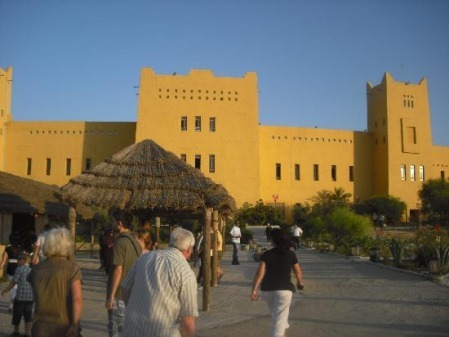 Continuation to Gafsa, Free time for lunch and departure to Tozeur. On our arrival in Tozeur, it soon becomes quite clear that the main attraction of this desert city is its vast oasis. This oasis covers about ten square kilometers which has been planted with some 400,000 palms and is fed by 100 springs. We check in at our hotel, which is quiet with tastefully decorated rooms and a swimming pool. We’ll have some time to relax then do some exploration of this very interesting and unique town. We will take a horse-drawn carriage into the oasis. We will learn about the date harvest and have the opportunity to sample some local dates or date wine “Legmi”. Return to hotel dinner and overnight. This morning, we will drive in 4wheel drive (Toyota cars) to the Mountain Oases of Chebika and Tamerza. Located amidst the rugged outcrop of the Atlas Mountains, not far from the Algerian frontier, these date back to Roman times, when they were military outposts to control the caravan trade. 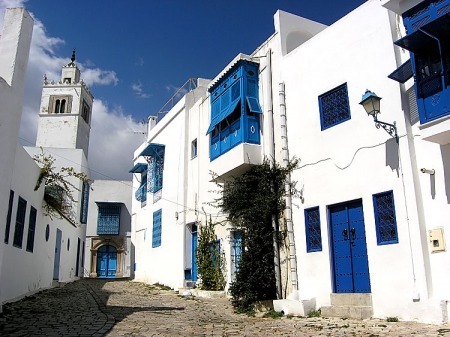 In Chebika, we take a walk to see the Berber village, waterfalls and the spring of the water, we continue to the picturesque village of Tamerza, with its spectacular sightseeing made famous in the film, The English Patient. Return to Tozeur for lunch and we’ll cross the salt lake called “Chott El Jerid”, the barrier between the Sahara and fertile North. If we are lucky, we may see some mirages on the horizon. 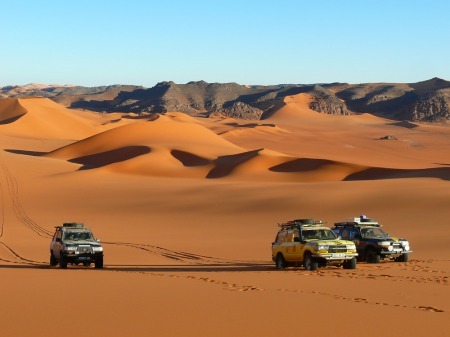 Arrival to the town of Douz called also “Gateway of the Sahara”, here you have the opportunity to shop in the local Bedouin market or take an Ultra-light airplane trip over Douz or take a camel ride in the Saharan desert. Check in at a 4 stars hotel in Douz. Dinner and overnight. 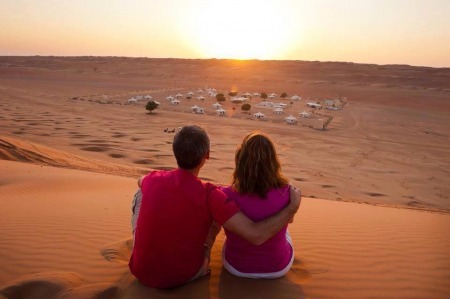 Note: Possibility to stay in a Desert Camp in Douz instead of the 4 stars hotel. Continental breakfast at hotel, departure to Matmata of Star Wars notoriety, but more importantly, center of the most extensive number of traditional troglodyte pit homes in the region. The Berber people built these simple underground dwellings to escape the extremes of weather and any unwelcome invaders, to get a feel for troglodyte living. 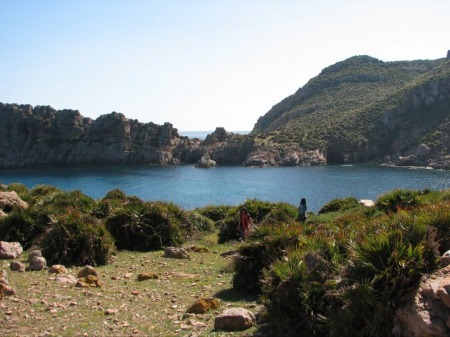 We will visit one of these dwelling caves, then visit the hotel Sidi Driss, where scenes from the Lars homestead in Star Wars were filmed. Then drive To Mahres for lunch and continuation to El Jem to visit the largest and most spectacular Roman amphitheatre in North Africa. End of the day, drive back to your hotel of stay. 2 nights accommodation in 4 star hotels on half board basis (Dinners and breakfasts included).